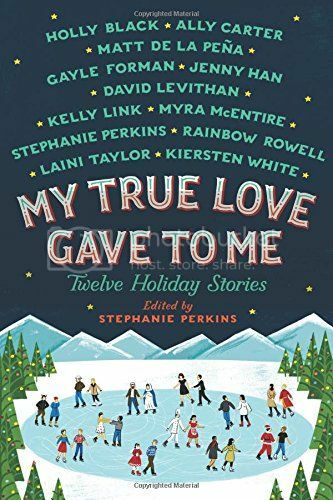 I was super excited to read My True Love Gave To Me not only because it was edited by Stephanie Perkins, but also because the book of full of really awesome writers, and I couldn’t wait to read their holiday themed short stories. A few of my favorite stories from the book came from Rainbow Rowell, Stephanie Perkins, Gayle Forman and Ally Carter. It’s hard to pick between them all, because they were all great stories. Even though these were just short stories, they all would have been wonderful as whole books. The characters were well written and likeable, and I really wanted to keep reading long after the stories ended. (Luckily I was distracted by the next story!) I really enjoyed reading all of these stories. I also really loved the holiday feel to the book. It put me in the Christmas spirit, and that usually doesn’t happen this early in the year. Now I am itching to read even more Christmas stories! My only complaint about the book is that the stories weren’t long enough! Yes, I know that these are just short stories, but with each story I started to get attached to the character and storyline, and I didn’t want it to end. But they did. As I mentioned before, all of these stories were well written, and would have made excellent books. Overall; If you want to read a book of Christmas stories by some really great authors, definitely check out My True Love Gave To Me. It is well worth the read, and will put you in the Christmas Spirit! I'm excited to read this one. I got it from Netgalley last week. I just want to get through my suspenseful Halloween book phase first before I start working on Christmas reads. I'm glad to see you enjoyed it! Hi Christy! I'm most excited for the short stories of Gayle Forman, Stephanie Perkins, Kiersten White and Laini Taylor. I love these authors and I'm really looking forward to reading something short and sweet for a change. Glad you liked it! I would probably have the same complaint as you. :) Thanks for the lovely review!